The Supra is coming! The Supra is coming! If you’re part of the Toyota Supra fandom, you’ve heard this exclamation for the better part of a decade, perhaps longer. More than two decades have passed since the last Supra was sold in North America, although it soldiered on in Japan until 2002. But now we know for certain that a new Supra is on its way, thanks in large part to BMW, which had a significant hand in ensuring that Toyota’s sports car had a chance to return. Indeed, the platform, powertrain and other significant components are all BMW as this model shares much of its running gear with the all-new BMW Z4. The fifth-generation Supra arrives this summer. Toyota teased us with what many thought would be the fifth-generation Supra as far back as 2007. That’s when the automaker rolled out the FT-HS concept, which stood for Future Toyota-Hybrid Sports. Yes, a hybrid sports car. The concept featured a 3.5-liter V6 engine and an advanced hybrid drive system, which together sent power to the rear wheels. With approximately 400 hp at the ready, this was one fast sports car. Alas, the FT-HS never materialized and it took another seven years before a concept of Supra proportions emerged. That’s when Toyota unveiled the 2014 FT-1, which featured elements of the FT-HS and previous Toyota sports cars, including the MR2, Supra, and 2000GT. The FT-1 may be considered the forerunner to the 2020 GR Supra. 2. The Supra only happened because of BMW. BMW and Toyota are competitors, especially at the BMW-Lexus level. The two luxury brands battle for top sales in the U.S., only to trail Mercedes-Benz in recent years. That said, when it comes to the auto industry, strange bedfellows sometimes make great collaborators, especially where money is involved. No doubt, Toyota would not have ever brought back the Supra if they had to build the model from scratch. The cost involved would likely have blown well past $1 billion for a vehicle that will only be built in fairly small numbers. 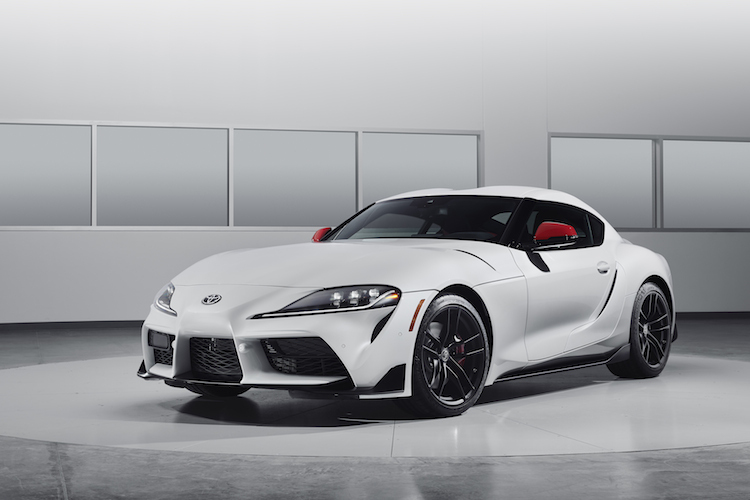 Highly conservative Toyota would never approve of such a deal, but with flashy Akio Toyoda at the helm of the company, the Supra project became a reality. How much Toyota pays BMW for the right to produce this vehicle isn’t known. 3. Toyota brings the styling. Everything about the 2020 Supra is Toyota, at least when it comes to its style. 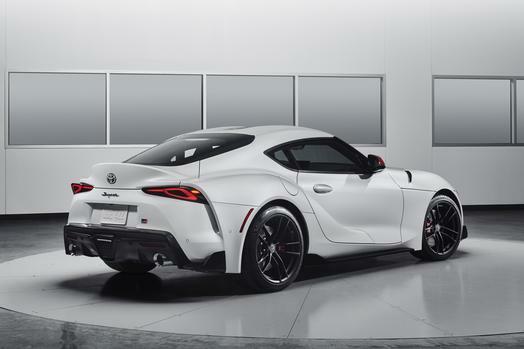 The skin is unmistakably Japanese or at least it features a look derived from previous Toyota products (the Supra was actually designed at the company’s design studio in California). Inside, the cabin is driver-focused, as expected. The instrument panel is unique to Toyota, while the switchgear is chiefly BMW. The centered rev gauge looks like something you’d find in Porsche. As for the touchscreen, it is bolted on top of the dashboard. 4. BMW supplies the performance. This is where Supra purists may have the most difficult time with the all-new model. There isn’t much of a Toyota imprint here as the turbocharged 3.0-liter inline-six used by BMW in the Z4 and elsewhere motivates this sports car. 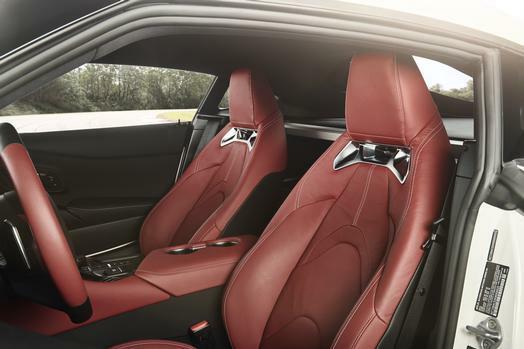 The engine is no slouch as it makes 335 horsepower and 365 pound-feet of torque. Power is routed to the rear wheels by means of an eight-speed automatic transmission. The transmission choice is the only one available, which means there isn’t a manual gearbox to be had. This isn’t surprising, especially as paddle shifters are and demand for “rowing your own” can be measured in the low single digits. Nevertheless, a 0-60 mph time of about 4 seconds may have drivers forgetting what they can’t have. Toyota still has its influence on the way the Supra behaves, thanks in part to its adaptive suspension. Adjustments to stability control and the differential give this coupe its special flavor. Both the BMW Z4 and the Toyota Supra will be made at the Magna Steyr manufacturing plant in Graz, Austria. The company is fairly unique in the automotive world as it is an automotive supplier with expertise in design, engineering, and full manufacturing. Notably, the Supra’s body stampings, liftgate, seats, and door latches are supplied by Magna Steyr. The company doesn’t build its own vehicles, but it manufactures cars for various customers. So far, Magna Steyr says it has produced more than 3.5 million vehicles for its clients. Production of the Toyota GR Supra will commence this spring. Toyota will offer 1,500 Launch Edition models with distinctive styling and unique numbering. These models will go on sale in Summer 2019 starting at $55,250. Later, Toyota will offer the 2020 Supra in two grades: 3.0 ($49,990) and 3.0 Premium ($53,990). Prices do not include the $930 freight charge. A Driver Assist Package ($1,195, full-speed adaptive cruise control, blind spot monitor, rear cross traffic alert, parking sonar and rear collision warning) is available across the model line. This package builds on the standard forward collision warning, automatic emergency braking with pedestrian detection, lane departure warning, road sign assist and automatic high beams. The all-new Ford Explorer features an athletic stance and powerful lines. What’s old or time-honored is new again. 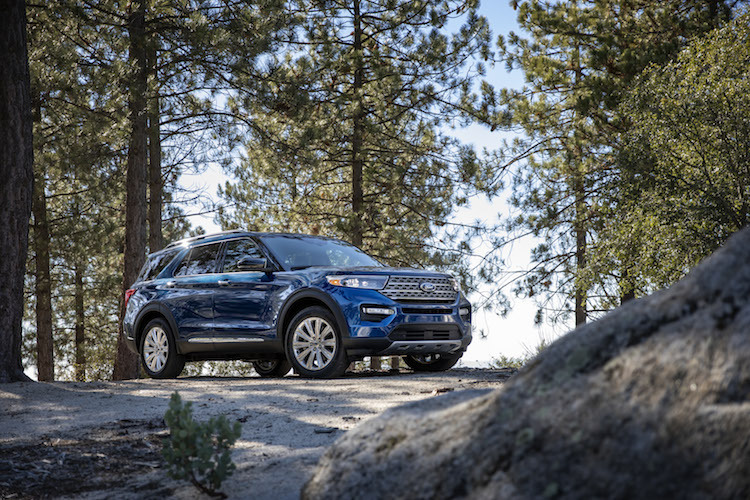 The 2020 Ford Explorer is the latest version of Ford’s most popular SUV, an all-new model that builds on the success of the 8 million copies sold to date. This week, at Ford Field in Detroit, Ford officially unveiled its next-generation Explorer, with thousands of Ford employees, industry leaders, community officials and a press pool in attendance. Arriving in summer 2019, the 2020 Explorer sits on an all-new platform and features a more rigid body and updated turbocharged engine choices. This SUV’s debut occurs just days ahead of the official start of the North American International Auto Show, the final time it will be held during the winter. Starting in 2020, the Detroit auto show switches to a June format. 1. Supported by a new rear-wheel-drive platform. Most utility vehicles sit on a front-wheel-drive platform, with optional four-wheel drive. That’s been the case with the 2011-2019 Ford Explorer, which switched from its previous truck-based architecture to unibody construction. 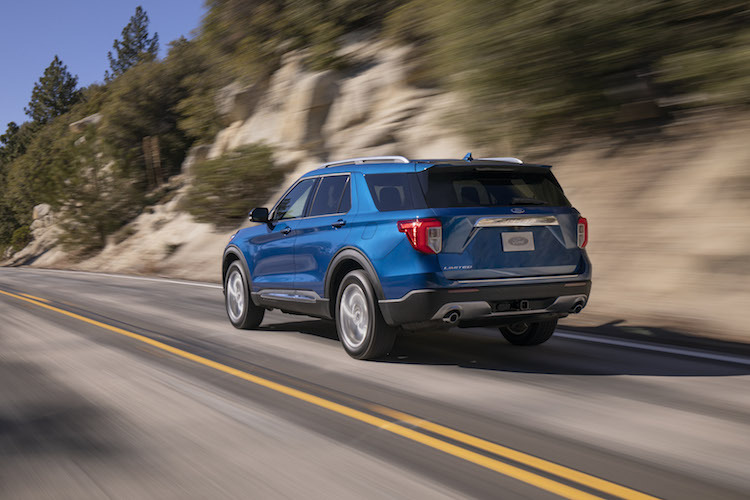 The 2020 Explorer still features a unibody design, but this time Ford offers standard rear-wheel drive with available four-wheel drive. Ford is following Land Rover and the Jeep Grand Cherokee in that department, hoping to capitalize on its more athletic appearance and increased capability to set it apart in a highly competitive segment. 2. Enhanced by up to seven selectable drive modes. Ford’s available Terrain Management System, found on all models, features as many as seven drive modes for the choosing. All rear-wheel-drive models come with normal, sport, trail, slippery, tow/haul, and eco settings. Models equipped with four-wheel drive add deep snow and sand modes, with each designed for improved off-road performance. 3. Powered by one of two engine choices. Ford will offer a pair of engine choices with its new model. Gone is the previous 3.5-liter V6, which was offered in naturally aspirated and twin-turbocharged versions. The new engines are both turbocharged and they sport the company’s internal “EcoBoost” label. Standard with all trims, except the top-trim Platinum is a turbocharged 2.3-liter engine, which Ford expects will deliver 300 horsepower and 310 pound-feet of torque. Those numbers match what some V6 engines deliver. New to the Explorer line is a twin-turbocharged 3.0-liter V6 engine. When fueled with premium gasoline, this one will deliver 365 horsepower and 380 pound-feet of torque. Both engines work with a 10-speed automatic transmission. 4. Improved towing capabilities present. Towing and utility vehicles go hand in glove. The previous base engine with trailer package was capped out at 3,000 pounds, but now can tow up to 5,300 pounds. As for the V6, its towing capacity was raised by 600 pounds to 5,600 pounds, which is ahead of most competitors. 5. Designed with families in mind. As you might guess, utility vehicles are popular with families. The 2020 Explorer features several changes with youngsters in mind, including a tougher center console design, which now handles more weight — in the event children decide to climb on it. 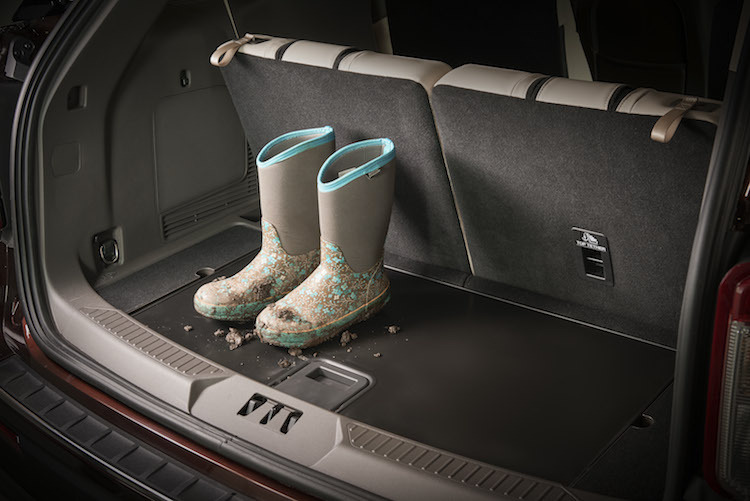 Other improvements include square cup-holders for juice boxes, increased overall storage space, and a reversible rear cargo floor with rubber covering one side — ideal for holding cleats after sports practice and for cleaning later. Ford says the second row has more head and hip room. The second-row seat also includes a mechanism for ease of access to the third row — just one hand is needed to flip the seat forward. 6. Refined safety technologies at your disposal. No utility vehicle or any new model for that matter is lacking in technology offerings. We expect them. No, we demand them! The 2020 Explorer doesn’t disappoint, as it comes with a suite of driver-assist technologies under the Ford Co-Pilot360 umbrella. These include: pre-collision assist with automatic emergency braking, pedestrian detection, forward collision warning, and dynamic brake support. You’ll also find a blind-spot information system with cross-traffic alert, a lane-keeping system, a rearview camera with a built-in lens cleaner, and automatic headlamps with automatic high beams. 7. Advanced audio and other technologies. All Explorer models have SYNC3, which is Ford’s most advanced tech interface. This system includes Apple CarPlay and Google Android Auto smartphone capabilities and Waze navigation. Also available is a 12.3-inch all-digital instrument cluster and an available 14-speaker, 980-watt B&O premium audio system. 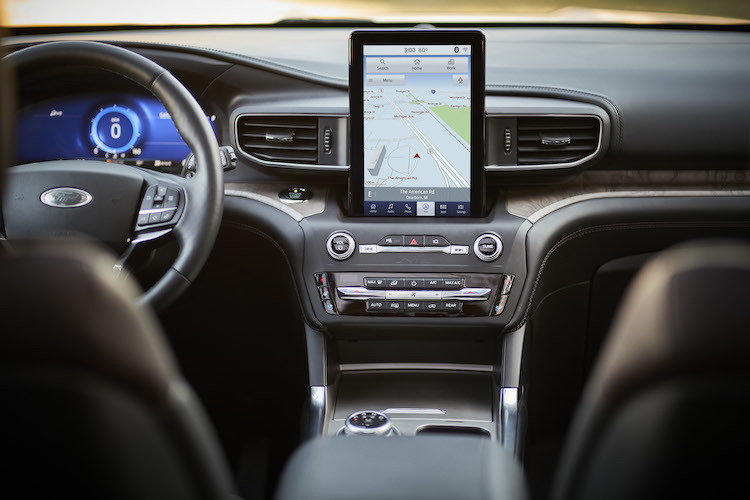 Other features include 4G LTE Wi-Fi for connecting up to 10 devices with an available wireless subscription, a wireless charging pad, four USB ports, three 12-volt outlets, and a 110-volt power outlet. Ford says that the 2020 Explorer will start at $33,860. It will come in XLT, Limited, ST and Platinum trims. A hybrid version will follow. Other pricing information and product details will roll out ahead of this model’s release date. Like the current model, the new Explorer will be built at the Chicago Assembly Plant in Illinois. This model’s competitive set includes the Chevrolet Traverse, Mazda CX-9, Dodge Durango, Nissan Pathfinder, GMC Acadia, Toyota Highlander, Buick Enclave, Honda Pilot, Volkswagen Atlas, Subaru Ascent, Kia Sorento, and the Hyundai Santa Fe XL. The two latter models will soon be replaced by the Kia Telluride and Hyundai Palisade, respectively.